Everybody’s doing the SEO dance now. Well, not just now… it’s actually been going on for many years. 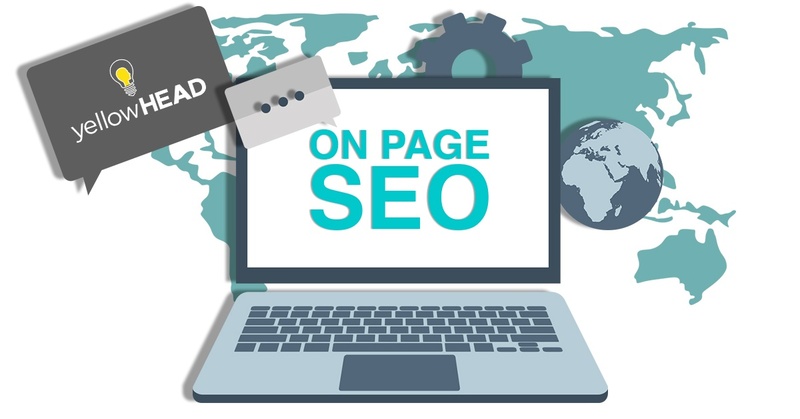 As such a long-existing practice, it has become almost redundant naming some over-used terms from this field, such as ‘on-page SEO’ and ‘off-page SEO’. However, it seems people who dabble in the arts of SEO still get these two mixed up and at times are not even sure what qualifies as on-page SEO, the foundation of any new webpage. This is where this post comes in handy: scroll down to see our list of basic on-page SEO steps for recently created or updated webpages. First things first – you have a website or a webpage. You know what you want to feature on that page – be it a product, a service or even simple information. Now you must make sure that users are actually able to find it. The first step of this metaphorical ladder is made up of keywords. Decide on words you would like to target and search for their volume using a keyword planning tool (we suggest Google’s tool for the most precise data). Cross reference the keywords’ search volume with their relevance to your product, alongside competition, and create a list with that data. Now it is time to choose the keywords best fitting your page. It is recommended to use one primary keyword several times within your page, and to mention a few secondary keywords throughout it. Check out the competition. No, seriously – check your competitors. Search Google for the terms you would like to rank for and analyze the sites that are ranking on the first results page. What do they look like? How informative are they? What words repeat on their landing page, and what are the highlighted words? Are they placed in titles? You can learn a lot from the strongest websites and even improve on what they are doing. Make sure each one of your planned or existing pages is unique, or at least unique enough. The reason for this is both technical and UX-oriented: a page should target a specific keyword or search term. No two pages should have the same content, as it is both boring for the user, and might result in Google penalizing a site for duplicate content on different pages. Distinguishing pages’ topics by keywords also helps each page rank higher for its keyword of purpose, e.g. a page about buying an apartment vs. a page for leasing one. Linkbuilding might be important – but it should not be overdone with new pages. Instead, this process takes time, and it is true for recently updated pages as well as new ones. Many websites bombard a new (or updated) page with incoming links, something that might end up hurting, rather than helping, a site. Such practice is, more often than not, treated by Google as ‘spammy behaviour’. In addition, make sure a page links to relevant sources (might very well be an authority website, often a news source, such as CNN) or inner links to other relevant pages within the site, e.g. a website about fruit might have one page about oranges linking to another page about lemons. However, keep in mind that you would rather keep a user on your site, so try and link through a new tab, and only below the fold of your page. Google even suggests using this tool for individual pages, but recommends using a website’s sitemap for a large number of pages that need (re)indexing. So, this is it. These are our first steps when auditing a new (or recently updated) webpage’s on-page SEO. There are, of course, several more crucial factors – such as using canonical tags correctly, reviewing the sitemap, linking to the page and even more in-depth factors to the steps above, like monitoring a page’s performance and its rankings. No worries, though! When we do a follow-up on this post, we will remind you what we have covered with a short “Previously, on…”!